Unions are close to agreeing a deal with Tata Steel which would keep the Port Talbot works open along with other UK plants, BBC Wales understands. Talks were held between the company and unions last week, where it is thought the issues of pensions, production and jobs were discussed. It is thought a deal could emerge this week. 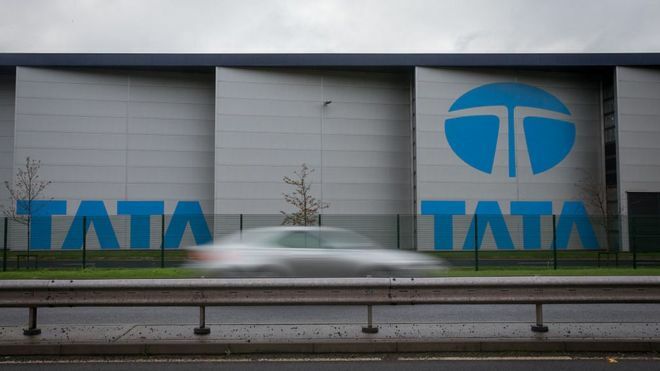 The future of Tata plants has been in doubt since the UK business was put up for sale in March. The UK and Welsh governments offered financial support, but the company’s pension scheme has been deterring potential buyers. It is unclear what deal might be struck on the pensions issue, but it is understood unions have insisted on maintaining the two blast furnaces at Port Talbot. Stephen Kinnock, Labour MP for Aberavon, said he was “desperately hoping and praying” for some positive news for steelworkers and their families who had “been through hell”. Speaking to BBC Radio Wales’ Good Evening Wales programme, he said: “We have said from the start that we need a very clear commitment to both of the blast furnaces and to the investment that we need to build a long-term future of prosperity for Port Talbot, and for the steel industry across the county. “Clearly there are also discussions ongoing around the pension scheme and other aspects of the terms and conditions for employees. Tata Steel put plans to sell its UK business on hold in the summer as the company considered a European tie-up. It employs almost 7,000 workers around Wales, including more than 4,000 at its plant in Port Talbot. The other plants that would benefit from a deal being reached include Llanwern, Trostre, Shotton, Corby, Hartlepool and sites in the West Midlands.